Treat yourself to a garden bench! Our garden seats and park benches are really comfortable, made of long-lasting kwila, and all fastenings are now stainless steel. We are happy to alter our standard lengths to suit your requirements. 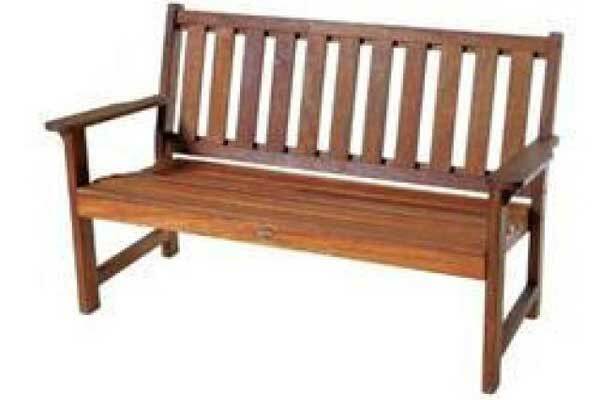 These are very comfortable garden benches with contoured seats and slatted backs. Providing comfort and style for a garden setting or deck. We are happy to alter our standard lengths to suit your requirements. The Peninsula Bench is made of heavy timber, with a curved back and stainless fastenings. 2-seater $750.